We are only welcoming students in september and october. Caen is a city of Normandy, located in the North West in France. It is nearby the sea (20min) et close to Paris (2 hours). During the 11th century, William the Conqueror was the Duc of Normandy and became King of England after its invasion in 1066. His wife, Mathilde, is known for her artwork : she realized a tapissery while waiting her husband, here in Caen, during his travels. The tapissery, now, is exposed in Bayeux. Caen was nearly all destroyed during the Normandy landings of the World War II. In fact, on the 6th of June, 1944 ; the allied arrived by the Normand coasts to fight the nazi occupation. A lot of bombings occured to win the battle and caused many destructions. The Memorial of Caen, is a museum dedicated to the XXth century’s history, and reminds us of the frailness of the peace. The phoenix is one of the symbol of Caen : as that bird relives from its hashes, Caen rebuilt itself after its massive destruction. Caen is also called, the “city of hundred steeples”. Indeed, there are a lot of churches, some are opened and you can visit them. One of the most beautiful is “l’Eglise St Pierre” in the downtown which is really impressive by its size and its architecture. There are severals places where you can do your clinical internship in Caen, 3 different buildings based in the same area. The CHU (University Regional hospital center): with nearly 1500 beds, it is the reference hospital in Caen, you can find the most common departments. Esquirol is specialized in Psychiatry. The Centre François Baclesse is specialized in Oncology. The University is divided into 5 campuses, the one for Health is nearby the hospitals. Caen provides one meal per day of clerkship, at the University Restaurant for lunch (close to the Hospitals). At the moment and until 2019, the tramway network is under renovation! You can travel in Caen and to the nearest cities by bus or tram. The tram runs in town and will be especially appropriate to go to the hospital or the faculty. With the bus, you can go everywhere up to the beach (30 minutes)! The ticket is the same price: 1,50€ for an hour of ride along the Twisto network. For 10 journeys, you will pay 12,70€ and for a month with an infinite number of journeys you will pay 29,50€. Caen is dotted by a train station and thus we have direct access to multiple big cities of France such as Paris, Rennes, Rouen or Cherbourg! To go to Paris, the ticket will have an approximate price of 60€ (round-trip) for a 2 hour train ride. During your stay, you will travel by car with your host and with the other students to visit the areas of Caen with the social program. Caen is located nearly in the center of Normandy, so every places worth seeing are maximum a one hour long trip; the nearest beaches being 20 minutes away from Caen. During your stay, we will try to show you some beautiful places Normandy can offer. - The Mont St Michel : crossing of the bay (a very unique experience) and little tour of the mont and of the abbay. - The Norman coastlines mostly the D-Day beaches and cemeteries war memorials. There is a museum and a theater in Arromanches, it explains the history of the WWII in Normandy. - Bayeux is also a typical city of Normandy with its architecture and little streets. There is a museum "La Tapisserie de Bayeux" about the history of William the Conqueror, who was someone really important during his time here. 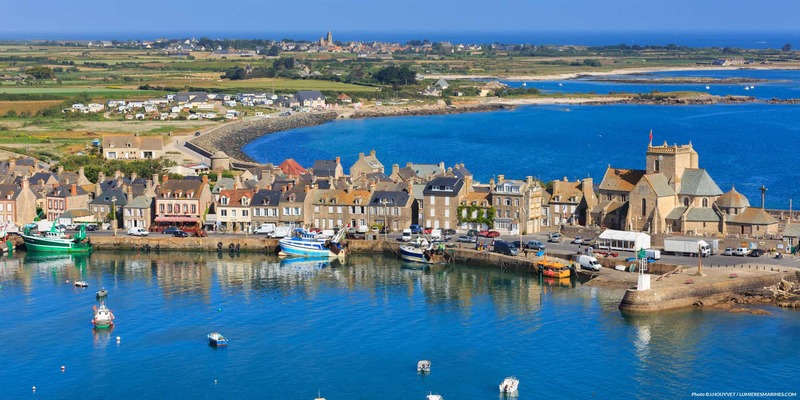 - La Côte fleurie : is the name of the coastline at the opposite of the D-Day beaches and in direction of Paris (during summer monthes, all the parisiens come here to enjoy the sun and the beach in family). Cabourg is known for its romantic french movies festival, which is a big event. The American Movies Festival of Deauville takes place every year in September, it is a rendez-vous for a bench of stars each year. The Casino of Deauville is also a nice building as the rest of the city ! Honfleur is the city of the impressionism and many movies were shot there. - Pays d'Auge : in the country side, you can find little towns with really typical architecture. - Caen is only 2 hours from Paris by train, a day is dedicated for it. - Caen and its downtown is also rich of typical architecture, museums and parcs. - NFDP : national food and drink party : all the incomings must bring or cook some typical food and drinks from their country. - French food party : french outgoings cook and bring typical french food and drinks, to show our gastronomy. Normandy is a place full of history with the Second World war but also with a rich medieval past, not to mention a rural past that inspired famous writers and painters. - Castle of Guillaume, Falaise, the town where William the Conqueror was born is a picturesque medieval town. - Mont Saint-Michel, one of the seven World’s wonders, is as pretty inside as it is outside! How could you miss that. - Beuvron-en-Auge is one of the most typical village of Normandy. - American cemetery of Omaha Beach, Saint-Laurent-sur-mer, in remembrance of the 10 000 american victims on this beach during World War II. - Etretat’s cliffs are the famous chalk cliffs overlooking the Channel Sea. - Fondation Claude Monet, Giverny. Claude Monet was a famous impressionist painter. - Haras du pin, for the horses lovers. Normandy is also known to be a place of tourism for its diverse nature and its beaches highly frequented by parisians during summer. - Roches d’Oëtre, Saint-Philbert-sur-Orne, where you can see a cliff 120 meters above a pretty river which has a face form. It is pretty place to take a walk. Want to visit another country 1 hour away from Normandy? Take the boat, and go to Jersey! 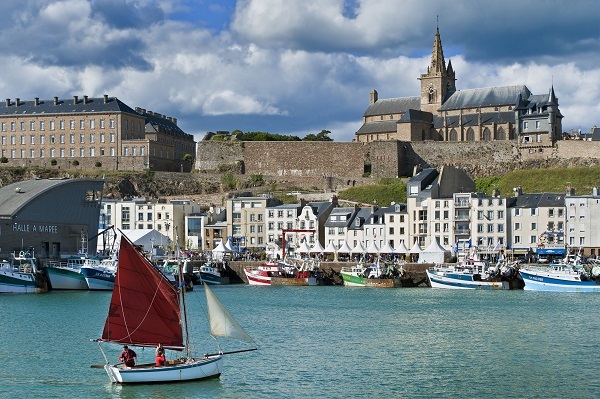 Jersey is a small English Island in the Channel Sea and its inhabitants live there a very typical English life. -Castle of Guillaume, Caen, that William the Conqueror erected when he was king is now a place to pass time and visit. It contains three museum : one about Art in general, one about the history of Normandy and one about the castle. -The city hall, stuck to the Abbaye aux Hommes. Both of them can be (and is recommended to be) visited. -The memorial museum about the Second World War in Normandy. -The harbour, full of sailing ships, is a safe place to guard your boat. Multiple festivities take place near the harbour during the year for runs and for famous boat races. -Some public gardens : The Jardin des Plantes and The Colline aux oiseaux, where you can stroll by and get lost in the roseraie. -Rue écuyère is the street where you will meet students from Caen every thursday night. This is where you can find the typical drink of Caen : the Embuscade ! And this is just a sample of everything Normandy has to offer! French is not mandatory but higly recommended.